100 years ago, the auto industry was America's Silicon Valley. The early 1910s were actually some of the most exciting years for cars - a period when bursts of new innovation kept the industry moving forward in leaps and bounds. Today, OTOLANE is one company addressing this market with innovation and big ideas. With over a decade of experience in software development, value building growth, corporate financing, successful exits, and IPOs, OTOLANE is backed by an established team and a product that will break all conventions. 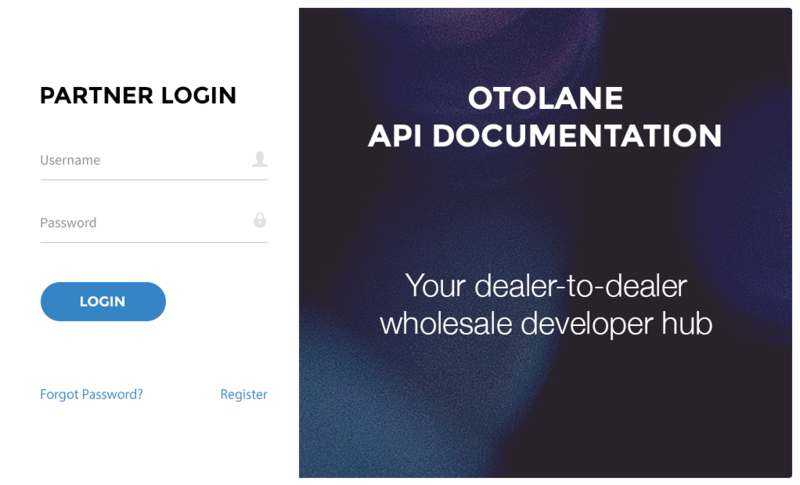 Designed from the ground up, OTOLANE is an end-to-end wholesale solution bringing sought after features under a single & unified cloud environment. OTOLANE has built a best-of-breed application relying on the latest API standards allowing us to share data seamlessly with 3rd party application providers. For product integrations, or to join our partner network give us a call, we have built the industry's most scalable and reliable API for automotive wholesale.